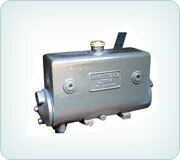 JC Equipments are the leading exporters and manufacturers of Marine Heat Exchanger in India. JC Equipments has been manufacturing Marine Engine Heat Exchangers and Marine Engine Oil Coolers for marine engines since 1989. 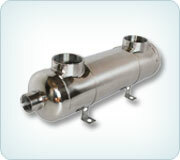 The heat exchanger suitable in a wide range of refrigeration industries and high quality, reasonable price. We only able to assist you in determining the most excellent all around product for your particular application. The exchangers are the most common way to cool a boat's engine, using the lake, river or ocean water in which the boat floats and also there are three methods employed for water-cooled marine petrol and diesel engines. All Marine Heat Exchangers use high-quality products incorporating both the best of the most excellent materials and the most recent technical features that have become world known for building a Quality and reliable product. 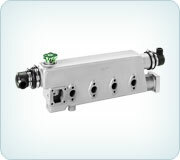 The exchangers are very high efficient and best product. High Quality design with high heat transfer ability. 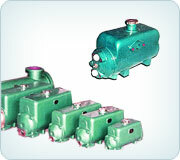 The advantages and problem areas with different heat exchanger types and materials are discussed. 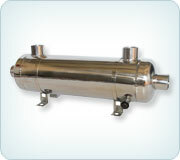 Marine heat exchanger is its size, cost and ease of adapting existing cold water systems to hot. 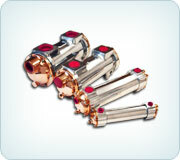 Researchers, over the years, have used a variety of heat exchanger types and materials. The application of heat exchangers to large scale marine aquaculture. 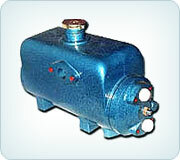 Marine Heat Exchanger for Sale : JC Equipments heat exchangers are high efficient and high quality and Reasonable price. JC Equipments having more than 23 years of experience in this field. QUALITY CONTROL : Our plant has full fledged quality control department. 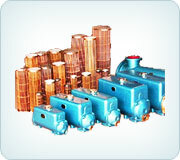 We are accept for various third party inspection agencies like Lloyds Register of Industrial Services, Engineers India Limited, Bureau Vertias, Indian Register of Shipping, National Thermal Power Corporation, Project Development India Limited etc..
Marine Heat Exchanger Maintenance : Jc Equipments are will guide the full explanation for maintenance and also How to Marine Heat Exchanger Cleaning and Repair.